Possibly because of this, there was a perception that war was glorious, exciting and heroic. Young people, especially boys, were brought up on military stories and were taught military drills in school. In these stories, the heroes were rarely wounded or killed; they won their battles effortlessly, and the drills taught them to obey orders and work together. 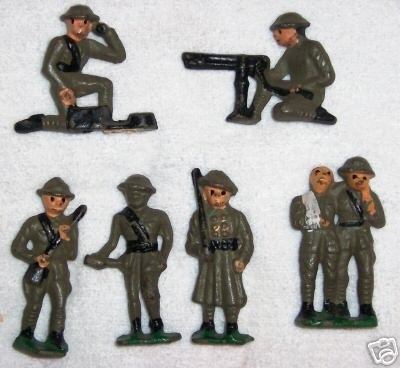 Tin toy soldiers were the most popular toy for boys in at this time in Australia. There was also a small group of conscientious objectors and pacifists- people who oppose war and believe that they would betray their principles by enlisting or fighting, or by supporting war. Among this group was the Women’s Peace Army, led by suffragette (a woman demanding the right to vote) Vida Goldstein . Watch the following presentation and complete the document study tasks on the sheets provided (link below). Also below ou will find a handout on persuasive techniques to give you some ideas about what to write about. Activity 07: Document Analysis Task Sheet.